The United States of America is comprised of 50 different states and a variety of territories in the Caribbean Sea and the Pacific Ocean.The United States is one of the wealthiest countries when it comes to wonders and marvels whether created by man or occurring naturally throughout the country. This article looks at the natural wonders of the United States where as you can go here to see the 7 Wonders of the United States. The United States is overflowing with natural wonders. Many would ask why natures best places like Crater Lake, Death Valley, Canyonlands, the Smokey Mountains, Lake Superior are not on the list of the country’s best 7 natural wonders. So, what are the 7 Wonders of nature for the United States? Here is a look at the magnificent natural attractions that call the United States home. What are the 7 Wonders of the United States? 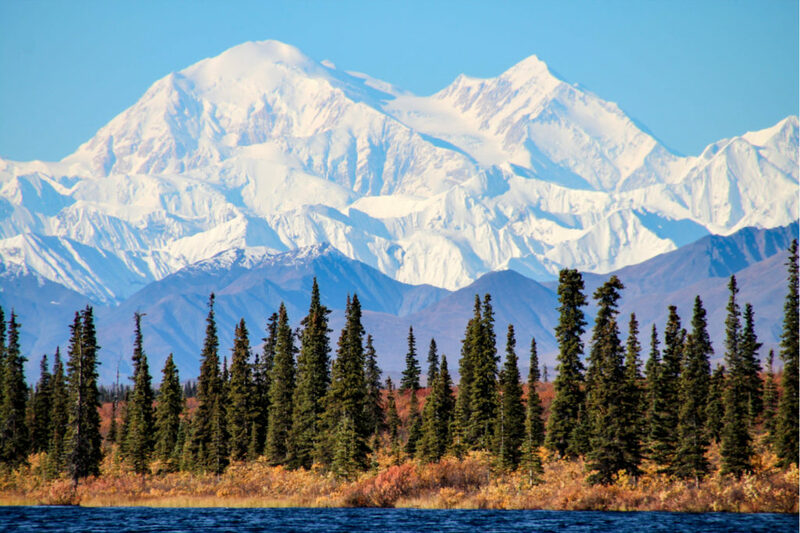 Denali, also official known as Mount McKinley, is often affectionately referred to as “The Great One.” It is a mountain located in Alaska and is the cornerstone attraction for the Denali National Park named after the glorious mountain. Denali reaches a summit of 20,320 feet (6,194 m) making it the tallest mountain in the United States and the tallest mountain in North America. Many argue that it is the tallest mountain in the world based on vertical rise, whereas some argue that distinction would go to Mauna Kea although the majority of its vertical rise is underwater. Denali begins it climb from around an elevation of 2,000 feet (610 m) which means its rise is approximately 18,000 feet (5,500 m). Mount Everest starts its climb from a plateau at 17,000 feet (5,200 m) creating a vertical rise of 12,000 feet (3,700 m). This means that Denali has a greater vertical rise than Everest making it the taller mountain. 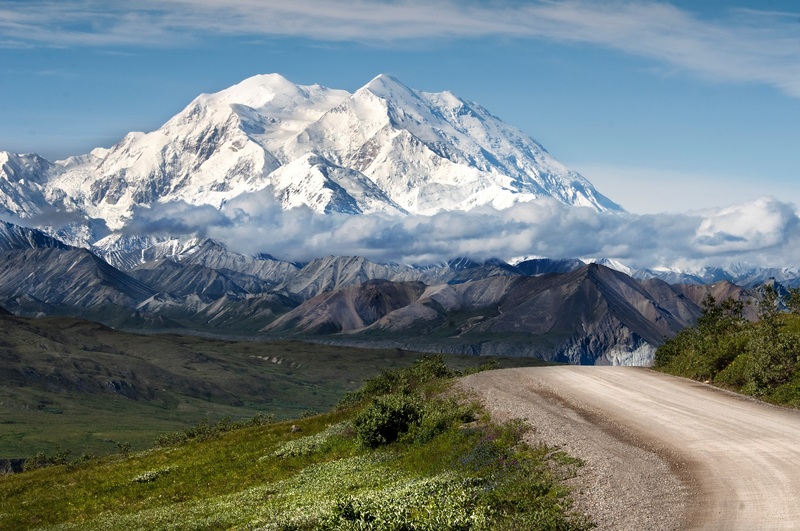 Denali is a majestic mountain and worthy of any bucket list. It is one of the 7 Natural Wonders of North America. The Grand Canyon is a steep canyon created by the winding Colorado River. It is located in northern Arizona. It is a protected national treasure and landmark by the Grand Canyon National Park recognition. 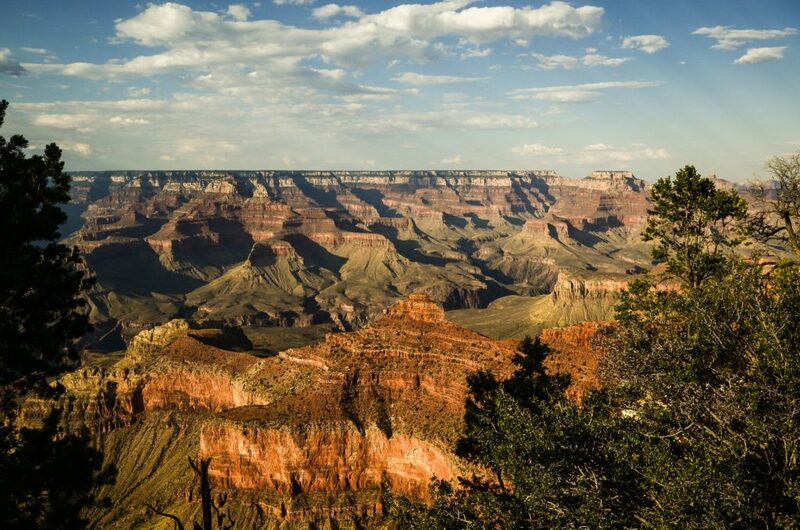 The Grand Canyon travels 277 miles (446 km) along the Colorado River and gets up to 18 miles (29 km) wide. It reaches a maximum depth of 6,093 feet (1,857 m) which means it is over a mile deep. Historically, it has been recognized as the largest canyon in the world however there is a canyon deeper, there is a canyon longer, and there is a canyon wider. The Grand Canyon is also a natural wonder because of the colorful landscapes that change colors throughout the day, throughout the year and based on light and other natural elements. Niagara Falls is the collective name ascribed to the three different waterfalls that are situated on the border between Canada and the United States. The falls work together to create the Niagara Gorge. Niagara Falls includes three falls which include Horseshoe Falls, which is the largest of the three, the American Falls, and the Bridal Veil Falls, which is the smallest of the three. 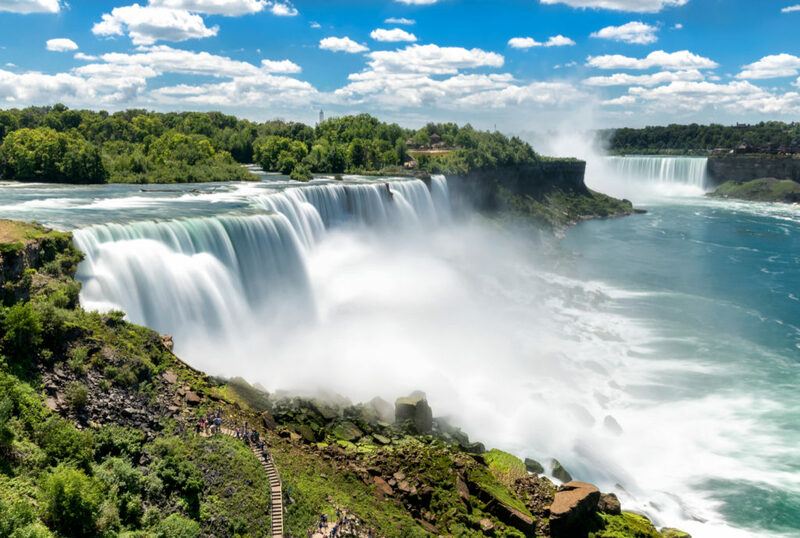 The American and Bridal Veil Falls are situated on the American side, whereas Horseshoe Falls is on the border shared between Canada and the United States. Niagara Falls reaches a height of 167 feet (51 m) and has an average flow rate of 85,000 cubic feet per second (2,400 cubic m/s). This is the strongest and greatest flow rate of any falls in the United States and all of North America. The Redwoods is a collectively shared wonder between the Redwoods and Sequoias of northern California. The Redwoods are located along the northern coast and protected by the Redwoods National Park, whereas the Sequoias are located in norther central California and protected by Sequoia National Park. 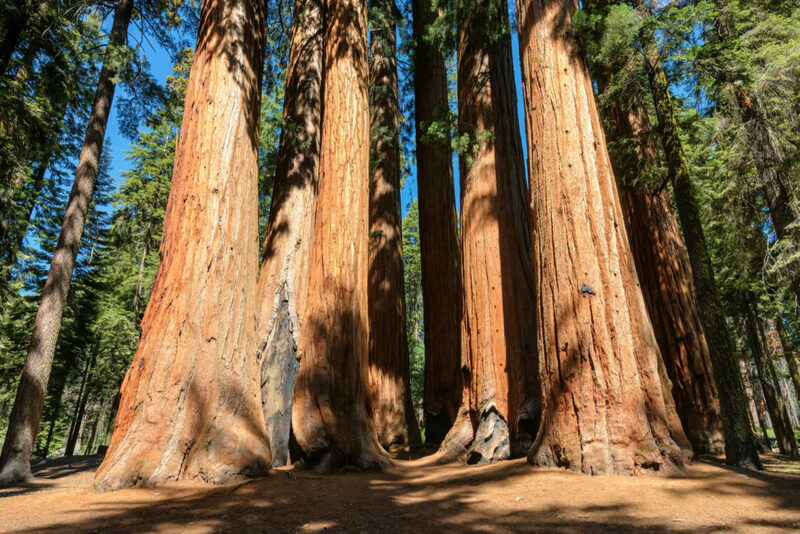 Together they represent the tallest and largest trees in the world. The redwoods are the tallest reaching heights higher than any other tree, whereas the Sequoias are the largest based on volume. Volume is calculated by their competitive height with the Redwoods and there larger circumference. The Redwoods are majestic trees that live thousands of years. Thankfully, the government stepped in to protect these trees before loggers destroyed them all for the massive timber they provided in a single tree. Yellowstone National Park is often just referred to as Yellowstone. It is a national park located primarily in Wyoming, however it crosses over into both Idaho and Montana. Yellowstone is a natural wonder of the United States and one of the 7 Natural Wonders of North America for a number of reasons. It was the first national park ever created in the United States and in the world. 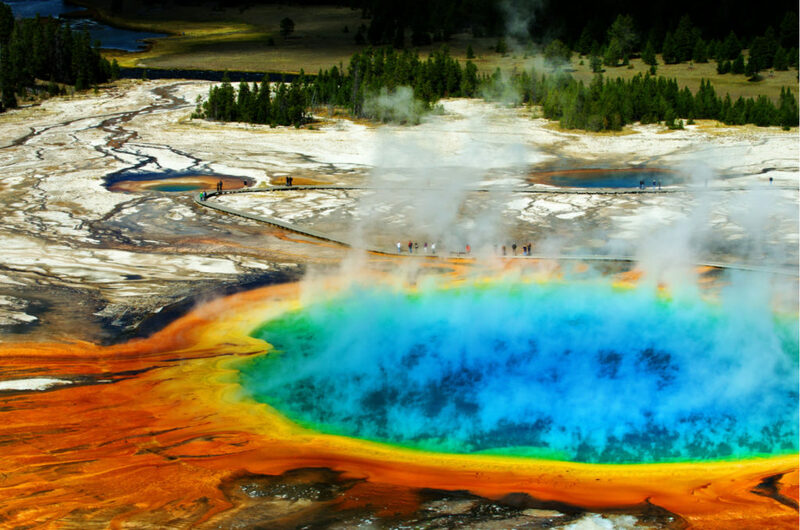 Yellowstone Caldera is the largest supervolcano in North America. It is considered an active volcano and the area features half of the world’s geothermal features. Yellowstone represents the largest remaining nearly-intact ecosystem within the globes northern temperate zone. Yellowstone is the largest and most significant location for wildlife in the United States that includes Grizzly bears, black bears, wolves, elk, bison and more. The largest public bison herd calls Yellowstone home. Yellowstone is also a natural wonder with its prevalence of geothermal features that include geysers, boiling springs, boiling mud, steaming rivers and more. There 10,000 geothermal features within the park area, and two-thirds of the world’s geysers are found in Yellowstone. Yosemite National Park is often just referred to as Yosemite. It is located in the western part of the Sierra Nevada area of California. The park encompasses 747,956 acres (1,168,681 square miles, (3,026.87 sq. km). It is one of the 7 Natural Wonders of North America. Yosemite is home to the giant sequoia trees, lakes, mountains, meadows, glaciers, and biological diversity. Without question it is a natural wonder encounter with nature, however it receives its wonder designation from a couple of special facets found within the park. 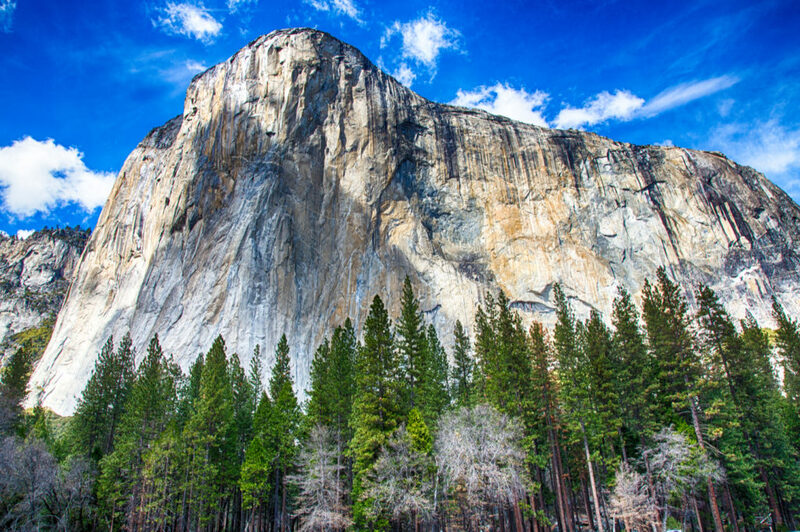 El Capitan is the largest granite monolith in North America reaching a height of 7,573 feet (2,308 m). Similarly, Yosemite Falls reaches a height of 2,425 feet (739 m) making it the tallest waterfall in the United States and all of North America. It’s neighboring Ribbon Falls featuring the longest single drop at 1,612 feet (491 m). Half Dome is another granite monolith bringing wonder and notoriety to Yosemite. It demonstrates the power of the glacier ice age is the monolith was sliced in half creating the majestic look of the half dome which it is affectionately named after.